Fourfact: Nu har vi spårat ur! 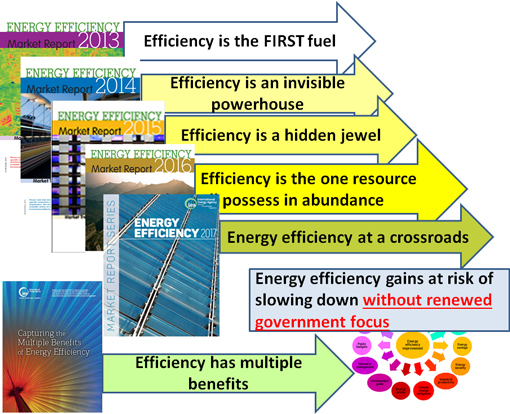 - Energy efficiency improvements slowed significantly, with global energy intensity improving by only 1.7% in 2017 compared with 2.3% on average over the last three years, caused by an apparent slowdown in efficiency policy coverage and stringency and lower energy prices. Tvärtemot vad man rekommenderat i sin senaste marknadsrapport, se bild nedan!